When I worked in traditional medicine we used magnesium in the emergency room to stop pre-term labor or to relax a heart that had a life threatening irregular beat. In my clinic now I use magnesium for its powerful effects on blood sugar levels, to lower blood pressure, to build bone, to treat pain and as a wonderful relaxation mineral for anxiety and boost overall health. Any part of the body that is tight or cramped, magnesium will relax. I also prescribe magnesium for fatigue as it literally is involved in the creation of energy in the body. The bad news is that most of us are deficient in this important nutrient. Magnesium is one of the most depleted minerals in our soil so the foods of today have much less than in our grandmother’s day. Studies have shown that 30% of the population has significant magnesium deficiency. Since Magnesium is difficult to measure in the blood it is likely even higher than that. 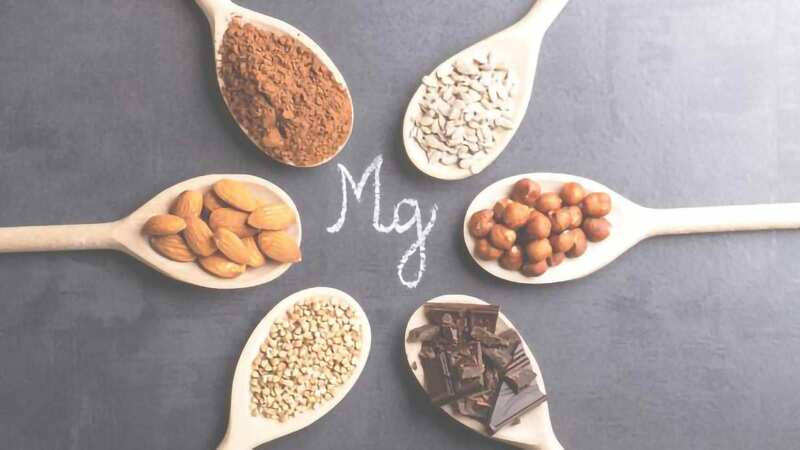 Here are some symptoms associated with magnesium deficiency and more importantly, the FIVE ways to increase your levels and optimize your health. Increase your consumption of magnesium rich foods. Most dark colored sodas contain phosphates. Phosphates find magnesium in your digestive tract and bind it making it unavailable to your body. So even if you eat a wonderful meal rich in magnesium, if you wash it down with a cola your body will never receive the magnesium. The hormones released when we are under stress have been shown to decrease magnesium. Even mild stress such as driving in traffic, getting through a day of emails, meetings or home management with children is enough to decrease our magnesium. The most absorbable forms of oral magnesium are citrate, glycinate taurate and aspartate. The side effect of too much magnesium is diarrhea. My very favorite way to get magnesium into the body is topically. Epsom salts are Magnesium sulphate and are wonderful as a bath or foot soak in the evenings. Topical magnesium has been shown to be extremely absorbable. All of us can benefit from this miracle mineral and relax into all it has to offer us. Tell me if you any questions and please share. Health is contagious – pass it around! Hi Dr. Tami! I was finally diagnosed with restless legs (only at night) several years ago. Unfortunately the meds they put me on did not help, nor did they get to the root of my problem. I’m wondering if a combination of gut issues and poor absorption has caused my current low iron stores and low magnesium, thereby creating these severe sleep disruptions, and then leading to the adrenal fatigue I have? It’s a frustrating puzzle I’ve been dealing with for so long! I’m currently taking a very absorbable vit/min supplement and EFAs. I’m also going to add digestive enzymes, probiotics, and more magnesium. What else would you suggest to get my body back on track? Thanks in advance! Hi Dr. Tami…I have frequent leg cramps at nighor early morning. My Naturopath has tried me on several forms of Magnesium but all of them cause lose stool and extreme diarrhea. Do you think that the bath idea would work? I’m no doctor, but it sounds like you may need to balance out calcium with your magnesium…. You mention that a side effect of too much magnesium is diarrhea, however in my experience some people can’t tolerate some forms of magnesium and get diarrhea, and are deficient but do OK on other forms, eg Citrate can be irritating while a Ionic form usually isn’t.